Julie Harmacek was born on February 21,1965 in Tyndall, South Dakota to the late Leonard Harmacek and Betty Lou Merkwan Harmacek. Julie Lived in Avon, South Dakota with her two older sisters, Denise Probe and Gay Lynn Harmacek. They had a hoop attached to their single garage and spent hours in the driveway shooting hoops, playing horse and around the world. Julie would also spend hours shooting around the outdoor courts behind the high school. She was a regular gym rat and would soon develop a passion for the game of Basketball. Julie would attend every Bob Winter Basketball Camp and many of the Hansen-Anderson Camps during the summer. Julie’s 7-8th grade team would go undefeated. She would also play on the B-Squad. Her parents were so supportive. 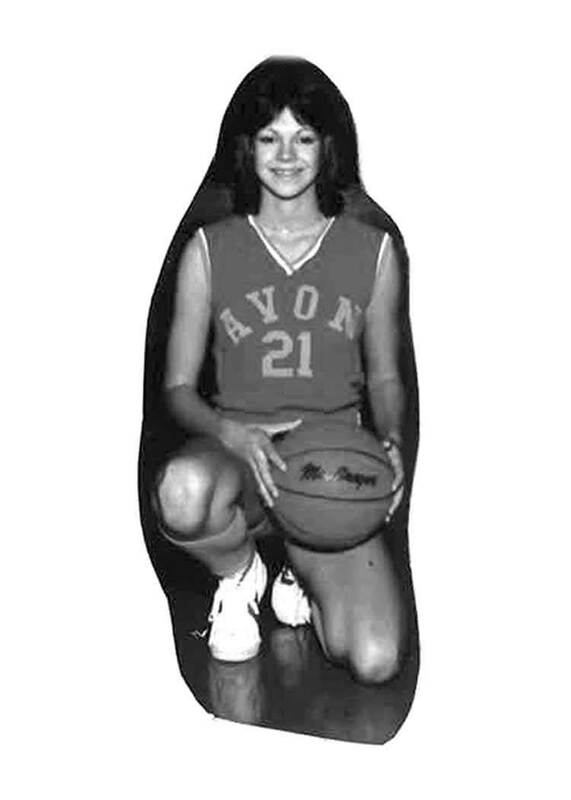 The Avon Lady Pirates won only two games while Julie was in junior high school. There was talk of moving Julie up to the varsity team as an 8th grader, but the parents had a different view. They insisted Julie should wait her turn and play varsity sports as a freshmen. This is when things went from rags to riches! Gerald Gramm would coach Julie for the next four years. In 1980 the lady Pirates would take 6th place in the State B Tournament in Watertown. There encore was 20-4. Julie was named to the all-tournament team. In 1981 the Lady Pirates would take 5th place in the State B tournament held in Huron. That year Julie was the leading scorer, she was named to the all- tournament team and second team class B All- State. In 1982-1983 the Lady Pirates did not make it to the state tourney. They would lose to Armour and Stickney in the regionals. There record was a combined 32-6 during those two years. Julie would end her high school career with 79 wins and 14 loses. When it’s all said and done, Julie was the girl who her teammates looked to when they needed a basket. Julie was selected to the Class B All-State First Team in 1983. She would average 22 points per game her senior year. She finished with 1,621 points, 722 rebounds, 267 steals along with 234 assists. She was also all- conference and MVP for four years. Julie would receive some great honors for the Avon lady Pirates. Among her honors were being chosen to the 1982-1983 National High School Basketball All-American team. Julie spent two weeks playing on the South Dakota Girls basketball All-Star Team touring in the Netherlands, Belgium, and West Germany. The memories made over the years with coaches, teammates and friends would be priceless to her. She would play one year of basketball at Northern State University. In April of 1984 Julie married Jim Bridge from Wagner, SD. They celebrate there 30th wedding anniversary later this year. Julie would graduate from Dakota Wesleyan University with a teaching degree. She has taught first grade at Hanson Elementary for 20 years. They have one daughter Jenny Bridge who was South Dakota’s Miss Basketball in 2003 and one granddaughter, Taziah who is six years old. Their son Jamin will be getting married this May to Meggie Hauglid. Yesterday is history! Tomorrow is a mystery! Today is a gift! Life goes on! The BEST is yet to come! Congratulations Julie!